There are many lawsuits being filed against the New York Bankers for manipulating the commodities. Suits have been filed in Florida, Chicago, and New York. It is no secret that I have stood up to these people an opposed their manipulations. But this has been the name of the name in the commodity field for probably a century. 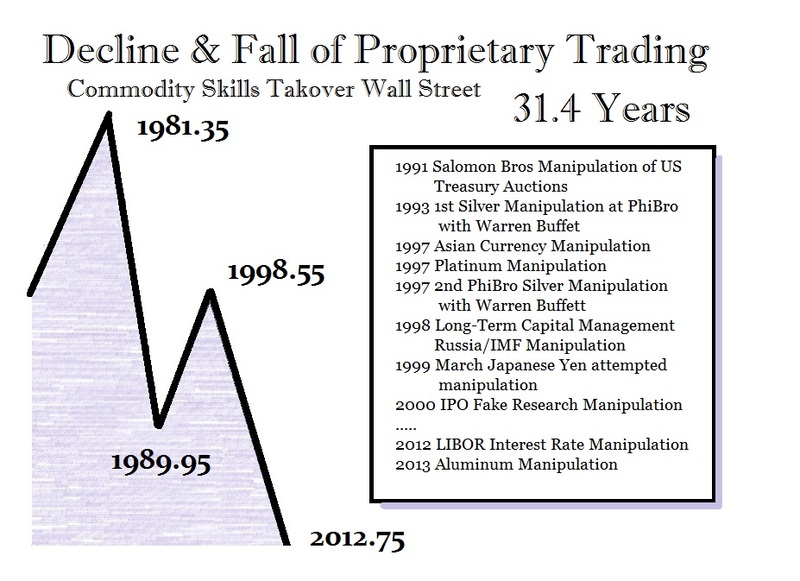 The manipulation in interest rates and the financial sector began when PhiBro took over Salomon Brothers back in 1981. They got caught manipulating the US Treasury Auctions within 10 years. That’s when Warren Buffett got involved and I believe it was PhiBro traders that drew him into the commodities playing with silver in 1993 then again in 1997-1998. The Goldbugs hated me then because if the metals go up it is always REAL and manipulations are only down. Buffett bough the silver in London so that drew down the supply in NY shifting it to London and that fact was used to get the Goldbugs to buy the high as always. But they were desperate to get me to join them fearing that Princeton was the largest adviser ever having more than $3 trillion under contract (see testimony before Congress). PhiBro floor traders walked over to my traders and showed them the Buffett orders to buy $1 billion in silver. If I say something is happening, everyone knows I have the real contacts and am not speculating unless I say I “think”. But the New York Bankers were not satisfied with just that. They then had not merely had Glass Steagall repealed under Clinton thanks to the efforts of Goldman Sachs’ Robert Rubin, but they then had the US Federal Reserve come out in 2003 and declared that certain commodity activities were even “complementary” to financial activities and therefore permissible Wall Street bankers. Yes, the Fed endorsed the manipulations turning a blind-eye as always. Goldman Sachs, J.P. Morgan, and Morgan Stanley were the biggest players in this field. They became the most aggressive traders in physical commodities using the inside info for mining, processing, transportation, and warehousing as they had the inside trading structure to make those guaranteed trades all sealed and delivered. And you wonder why the SEC, CFTC, and the Justice Department never prosecute these people? Everyone is listening to the tapering. This is not even on YouTube showing it has gone over the heads of the majority. I have reported on direct sources stating to me that the Fed has been visiting the bankers and telling them in private (1) they better re-calibrate their model for their may be no flight to quality on the next down turn, and (2) that they will NOT cover trading losses again. Bernanke’s testimony is the confirmation of my direct sources from bankers what has been told to them in private. I do not make this stuff up. I do not speculate on things of this nature. You cannot do that nonsense and play with the big boys. The financial system as we knew it is changing. It will no longer be the same and the days of proprietary trading are numbered. Their cycle of proprietary trading has come to an end and going forward, we will see how hard these banker will fall. This reminds me of Margaret Thatcher who had an instinctive gut feeling about cycles when she told me John Major and the conservatives would lose power long before there were any polls. She said to me when I asked her why: “It’s just Time”. The bankers now pose a huge “social risk” and government is starting to understand. When the economy turns down, this time the bankers may be the scapegoats. This is very much the possible case if we also see a rise in third party activity. Already many are starting to say that Ran Paul might be the best candidate for the Republican Party. Interesting when they would not allow his father’s name to be put into nomination at their last rigged convention. So these lawsuits against the Bankers are growing in number. The problem is one filed in NYC and that was a HUGE mistake. 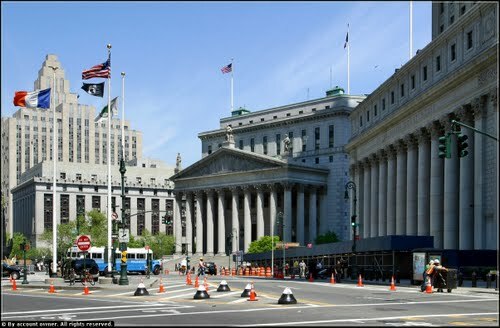 The likely course will be to move all others to New York where the bankers control the courts. I cannot say this strong enough – STAY THE HELL OUT OF NEW YORK CITY!